If you’ve reached the stage of life when you’ve begun to think about estate planning, you should be thinking about the security of your assets, as well. Generally in legal terms when we refer to assets, we’re talking about some type of property with value that can be transferred from one party to another. Assets can be money, real estate, or even a valuable stamp collection. Assets can be transferred from an individual to an organization. An individual can transfer his or her assets back to himself or herself under some circumstances. But in terms of estate planning, assets refer to items one party intends to bequeath to another after death. Many individuals mistakenly believe that specifically identifying assets and who should receive them within the body of a will is all that they need to do. Why could their assets be in peril? The administration of a last will and testament is governed by the state that it is filed in. While there is some variation in these rules, one thing that states are pretty much in agreement on are the limited number of assets that you can identify as such under the protection of the will. Large and valuable personal property items, non-individually owned parcels of real estate, businesses with living partners (or their heirs), most kinds of “community” property, life insurance and pension plans are all examples of assets that may require protection. What Can Happen To Bequests Without Asset Protection? Certain types of assets have “built-in” asset protection that makes their administration to heirs fairly straightforward. An insurance policy with easily identifiable beneficiaries would be one example. Assets with multiple owners can create a more complicated situation, however. Some assets can be in peril if an estate has creditors. It’s easiest to avoid future problems by identifying and heading them off at the pass. By working with this type of lawyer at the earliest stages of estate planning, the odds of smoother estate transferences increase. Many individuals planning their estates are unaware that they already have asset protections in place like certain types of insurance. Or that in some states, “homestead laws” offer protection to certain types of real estate. Lawyers specializing in asset safeguarding can also offer clients options such as trusts and corporation formation. Creating “buffers” to shelter assets from creditors is legal, provided that it is done openly with no attempt to hide assets or circumvent tax laws. With the help of an estate planning lawyer, clients don’t run the risk of “fraudulent transfers” which can lead to huge legal headaches for clients and heirs. Some programs such as Medicaid provide assisted living/nursing home residents with an allowance provided that “survivor benefits” revert to them. Legal assistance here can help clients determine if they should take this route, or explore other options to leave heirs a legacy. Our estate planning attorneys can provide assistance at all stages of asset protection. 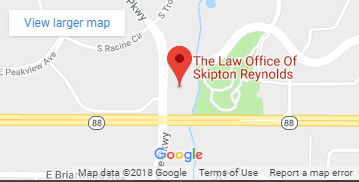 But since this type of assistance works best sooner than later, those looking to protect their assets should call The Law Office of Skipton Reynolds today for assistance in protecting their assets.